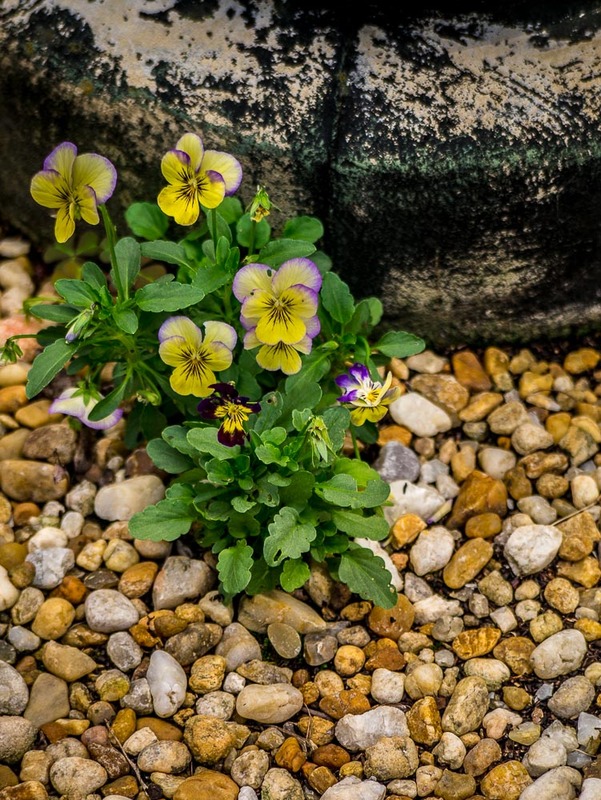 Where these little pansies came from is beyond me … I did not plant them. It’s been a good summer for flowers in SW Virginia, especially in our neighborhood. It makes me smile when I see hearty, small beauties like these pop up in unexpected places, like in the midst of some pebble-rock fill I placed around a walkway off our back porch. Now that Fall has arrived … officially … I suspect we’ll be seeing more color on the trees, and less in flower gardens. Enjoy it while we have it!